Harvested in France, Centaury is a plant with tubulous flowers with a pure blue hue that is very rare amongst natural flowers in the world. 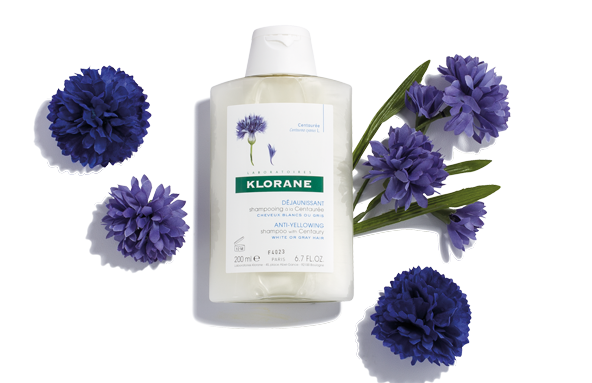 It is known for its naturally rich botanical pigment of indigo blue. Complementary colors neutralize their opposite, which is why purple/blue shampoos are recommended to counteract the yellowing of white hair. However, synthetic dyes tend to stain and can leave hair feeling dry. 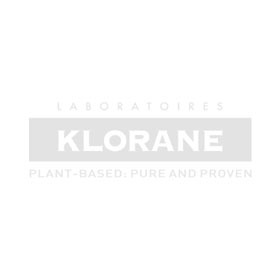 Klorane uses natural botanical blue pigments that are very gentle and do not stain. Brighten and enhance white, gray, and platinum blond hair in three nourishing steps. Kit Inc..
A gentle, non-purple shampoo, with botanical blue pigments, enhances silver highlights while ..